Cook pasta per package directions, rinse, drain, and set aside. Heat oil in a large skillet and add garlic, zucchini, and summer squash. Sauté 5 minutes. Add the kale and sauté 1 minute. Add the cooked pasta and soy sauce and cover. Cook 2 to 3 minutes. Remove cover and mix pasta with the vegetable. Add more shoyu to taste, if desired and cook 1 to 2 minutes. 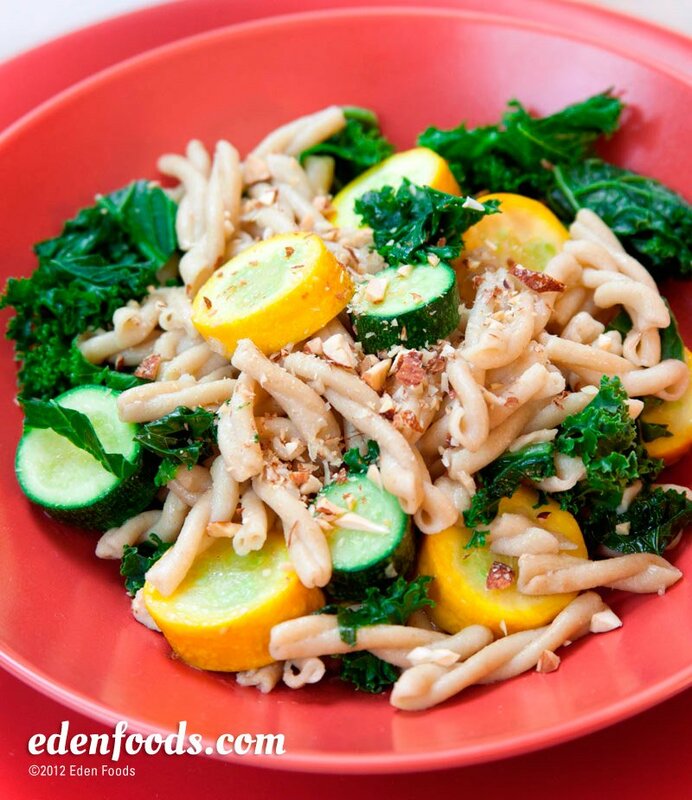 Serve pasta garnished with chopped almonds.